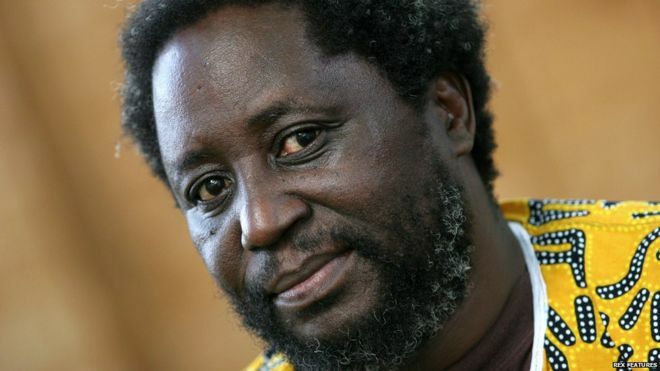 One of Zimbabwe’s best known writers, Chenjerai Hove, has died in Norway at the age of 59.The exact cause of death is not clear but he suffered from liver problems, his wife Tekla Hove told the BBC. Mr Hove was known as a critic of President Robert Mugabe and went into self-imposed exile in 2001 after harassment from the authorities.He won several awards for his work and was regarded as a leading figure in post-colonial literature in Zimbabwe. Mr Hove’s wife and sister were with him when he died – the first time they had been together since 2001.He had been taken ill three weeks ago and slowly deteriorated but he remained “bright and clear until the end”, said friend and colleague Helge Lunde, the executive director of International Cities of Refuge Network. 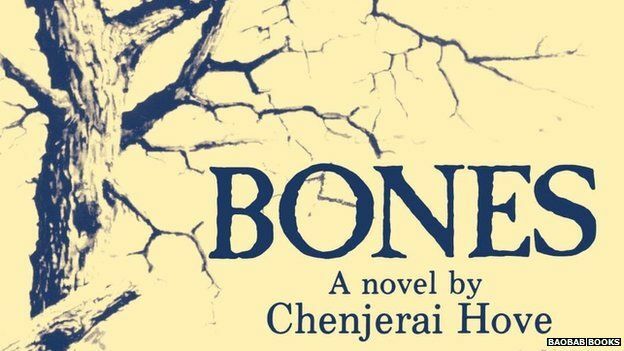 Mr Hove was a novelist, poet and playwright.Bones, published in 1988, is among his best-known works. Set after independence on a white-owned farm, the book asks what difference the end of colonial rule in 1980 really made. He had a brilliant command of the English language, only bettered by his brilliant mastery of his own language, Shona.His tiny novel Bones is full of incredible allegories and imagery that could only come from the Shona oral tradition.After Zimbabwean independence in 1980 – when it was possible to bump into writers like Charles Mungoshi, Dambudzo Marechera and Chenjerai Hove all in the same space – he was one of the leading figures of African literature who mentored new talent. I will miss him enormously.It is such a shame his exile makes us question the direction that Zimbabwe has taken in relation to its great artists. Mr Hove was a “great writer, novelist, poet and playwright”, Mr Lunde said, “but first and foremost he was a freedom fighter, fighting for human rights in his country”. Speaking to the BBC’s Focus on Africa radio programme last year, Mr Hove said it was his responsibility as “a citizen, as an African, as a Zimbabwean… to look at our lives and at whether our leaders are enhancing our dignity or taking it away”. He wrote four novels including Masimba Avanhu (Is This the People’s Power? ), which looked at the situation of women in Zimbabwe, and it was that, along with his political criticism, which got him noticed by the authorities, the International Writers Project at Brown University said. From exile he wrote many poems, which often dwelt on the theme of separation – and contributed a play and proverbs to the BBC.Among the awards Mr Hove won were the Zimbabwe Writing Award in 1987, the Noma Award for Publishing in Africa in 1989 and a German-Africa Award for freedom of expression in 2001. There are no funeral plans yet, but the family is hoping to fly Mr Hove’s body back to Zimbabwe, his wife told the BBC. Posted on 13th July 2015 by newsafrica. This entry was posted in Africa, African Literature, Zimbabwe and tagged Barack Obama, BBC, Chenjerai Hove, Hyperinflation, List of Presidents of Zimbabwe, Norway, Robert Mugabe, South African rand, University of Zimbabwe, Zimbabwe. Bookmark the permalink.